Today I am pleased to welcome author Victoria Kincaid back to the blog. Victoria has a new book out with a very chaotic premise. There are wrong engagements aplenty here, and many tangles to unravel. Let me share the blurb with you, and then I'll hand over to Victoria for a guest post explaining her thought processes in coming up with the premise for this book plus a very amusing excerpt from the book. Victoria also brings with her a giveaway of winner's choice of either a paperback or kindle e-book of 'Chaos Comes to Longbourn' for a lucky reader here. Read on for more details! While attempting to suppress his own desire to dance with Elizabeth Bennet, Mr. Darcy flees the Netherfield ballroom only to stumble upon a half-dressed Lydia Bennet in the library. After being discovered with her in a compromising position, Darcy is forced to make her an offer of marriage. Fearing the Bennets will attempt a similar “trick” with their brother, Mr. Bingley’s sisters convince him to leave Hertfordshire without any intention of returning. After Elizabeth refuses Mr. Collins, a heartbroken Jane Bennet accepts his proposal. Having resolved to propose to Jane, Bingley returns to Longbourn; but when he learns of her betrothal, he makes an offer to Elizabeth instead. 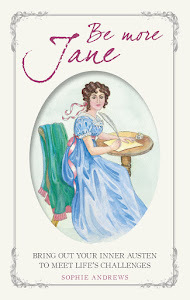 She accepts, with the hope that Jane will change her mind if Bingley remains at Netherfield. Meanwhile, Sir William Lucas is aware that Wickham had actually compromised Lydia in the Netherfield library and blackmails him into proposing to Charlotte Lucas, who is in danger of becoming an old maid. Hertfordshire has become a tangled web of misbegotten betrothals. Although Darcy yearns for Elizabeth, he feels honor bound by his promise. Elizabeth is also developing feelings for the master of Pemberley, but he has never seemed so far out of her reach. How can Darcy and Elizabeth unravel this tangle and reach their happily ever after? Ceri asked me what inspired the wild plot bunnies in Chaos Comes to Longbourn. I remember the precise spark. Last summer I was reading a Facebook post by fellow JAFF author Joana Starnes about playing a game of Marrying Mr. Darcy with some friends. It resulted in Mr. Darcy being married to Lydia, among other preposterous results. This got me thinking about writing a P&P variation in which Darcy was engaged to Lydia, an outrageous and hilarious idea. Then it occurred to me that it would be amusing if other characters were engaged to the wrong people. Soon I had a plot in which Jane—having despaired of Bingley—had agreed to marry Mr. Collins after Elizabeth rejected him. Then Bingley decides he will propose to Jane; but when he arrives in Hertfordshire to find her taken, he proposes to Elizabeth instead. She accepts in the hopes that she can re-unite Jane and Bingley. This left me with finding a plausible way for Wickham to be engaged to Charlotte Lucas. That was a tough plot point to crack. I couldn’t imagine either of them finding the other attractive. However, earlier in the story, Wickham had fooled around with Lydia at the Netherfield Ball. He didn’t want anyone to know because then he’d be forced to propose to her. It turns out Sir William Lucas knew about the incident, and he uses it to blackmail Wickham into proposing to his daughter, who is in danger of becoming an old maid. That fixed the plot point, but I found that my Charlotte still wasn’t attracted to Wickham. She accepted his offer reluctantly since she wants a home and family. But this Charlotte didn’t find Wickham at all handsome or charming, which is quite a blow to his ego. And then she encounters Mr. Collins and discovers that nothing (in her opinion) becomes a man so well as clerical garb…. I had great fun tangling everyone up in misbegotten betrothals and then figuring out how to untangle them. Hopefully readers will have as much fun reading about it! What? Wickham’s pride was pricked. Women always wanted him! He was charming. Charming is what he did! Well, and attractive. How could she be so blind? Suppressing a premature grin, Wickham slid from his seat and settled next to Charlotte on the settee. She did not lay down her damn needlework, and he did not like playing second fiddle to embroidery. He inspected her gown. A serviceable muslin, it was more modest than most dresses he encountered—which unfortunately meant less skin was available. But he could rise to this challenge. He leaned close enough to smell her faint honeysuckle scent and kissed his way down her neck. Aside from a small furrow in her brow, his actions did not appear to have attracted her notice at all. Damnation! What was wrong with the woman? That maneuver should have earned him a shiver, a deep sigh, and perhaps some kisses in return. Wickham blinked and allowed his hand to drop. Every woman loved being told she was beautiful, did she not? He swallowed, attempting to reestablish his equilibrium. “You are beautiful to me,” he murmured. She pursed her lips. “I sincerely doubt that, Mr. Wickham. You are acquainted with many prettier women.” She moved the position of her embroidery to get better light. Victoria is offering a giveaway to a commenter here. The prize is a copy of 'Chaos Comes to Longbourn' in either kindle or paperback format, open internationally! To enter, just comment on this blog post before the end of the day on Monday 11 July 2016. Thank you so much to Victoria for holding this giveaway here! what a tangle. Wickham trying to seduce Charlotte! I know, Vesper! I'd never have paired Wickham with Charlotte. I love seeing him fail to charm her, she is a lady of few illusions! Hi Lynn. Charlotte's reaction to Wickham really has him on the back foot, doesn't it. I am sure it will be good for him! Hi Lynn, Indeed! I think Wickham is used to women falling at his feet and Charlotte will have none of it. Good luck with the giveaway! Hi Vesper, I had a great time writing that scene! Good luck with the giveaway! Took the wind from his sails! I love it! Hi Nicole, I'm glad you liked it. I wanted to have Charlotte do something Wickham didn't expect. Good luck with the giveaway! Can't you just imagine his face, Nicole?! Such fun to see Wickham taken down a peg. Hi JW, I'm glad you liked it. I always thought Wickham was too hung up on his attractiveness. Good luck! Oh that excerpt was too good! I've read Victoria's Darcy vs Bennet and loved it. Can't wait to read her newest publication! Thanks for the giveaway opportunity. Priscilla, I'm so glad you liked D vs. B! It makes me happy when readers have a good experience with my books. Good luck with the giveaway! I thought the excerpt was huge fun, Priscilla. I hope you enjoy your next read of Victoria's work as much as Darcy vs Bennet. No need to enter me in the giveaway, as I already own the book and read it. I can tell you that the excerpt is only one of many, many laughable scenes. I loved it! Hi Debbie, Thank you for your endorsement -- and for your lovely Amazon review! Hi Debbie! It's good to know that there are more funny scenes in the book; I dearly love a laugh. Ha! Saw what you did there, Ceri! Dung, Thank you! I never like guys who think they're God's gift to women. Not every guy will be right for every woman. So I had fun writing that scene. Good luck! It is one big tangle isn't it Dung. I am putting my trust in Victoria that she will untangle it all satisfactorily! Hi Monica, This variation is definitely more humorous than angsty, so I'm glad that's your preference. Good luck with the giveaway! Oh my goodness I need this book! Seriously I cannot imagine Charlotte falling for Wickham. She's too sensible! Poor guy won't know how to react when his charm doesn't work. Hi Leah, Yes, I think Charlotte is too practical for Wickham. It was fun to write their relationship. Good luck with the giveaway! I agree, Leah, Charlotte is not a woman to be fooled by flummery, and that is all Wickham has. I read Debbie's review on GR and must admit that it sounds absolutely delightful!!! Can't imagine how our four couples disentangle themselves from such disastrous proposals......which is what makes reading so enjoyable!! Best of luck with this one Victotia! Thank you Ceri fur the opportunity to win s copy of this book. Hi Mary, I have to admit to a moment of panic about how I would get them out of the situation once I had gotten them into it! But I did manage a HEA for everyone. Good luck! Hi Mary! It's good to read a blurb that leaves you wondering how the author is going to manage a happy ever after. I look forward to finding out. Thanks for commenting! I live it. Wickham has finally met a woman who does not believe him or is attracted to him. Way to go, Charlotte! Congratulations on the new book. Looking forward to this read. Hi Patty, Yes, I loved giving Charlotte a backbone! Good luck with the giveaway! I love it too, Patty! So good for him to have a dose of reality. Well Victoria, since you promise that the book will be funny (and that scene proved it! ), I promise not to have a heart attack! Hi Ginna, Yes, it is funny and not particularly angsty if that is your preference. Thanks for your interest. Good luck with the giveaway! This sounds like a real hoot -- maybe even funnier than Northanger Abbey. Have already added it to my (growing) Must-Read list, and do please enter me in the giveaway. 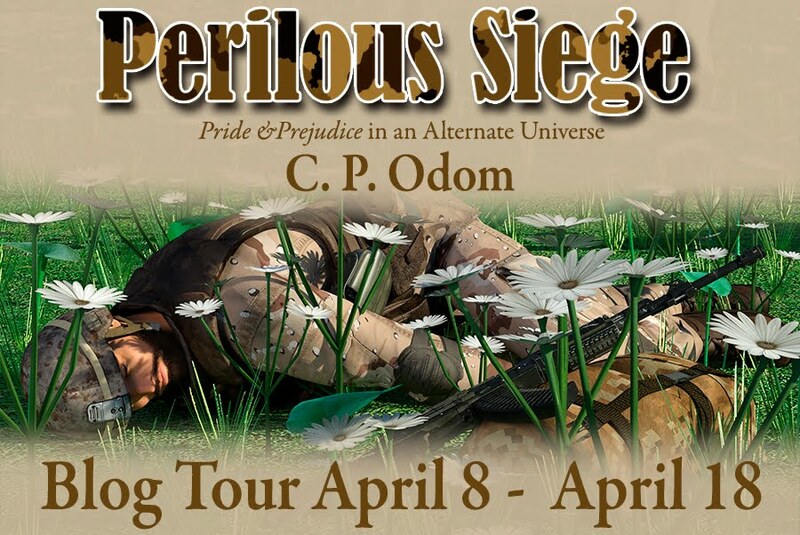 Many thanks for the excerpt, the giveaway, and the laugh. I'm glad it gave you a laugh! Good luck with the giveaway. Sounds like a riot. Can't wait to see how the unrecognizable pairings work themselves out. Thank you for the chuckle, excerpt, and give away. Hi Deborah Ann, It is funny and I promise a happy ending for all involved. Good luck with the giveaway! If this excerpt is any indication, my face will hurt from so much smiling as I read this book -- it just went on my "must read" list. Please enter me in the giveaway. Hi there! I am glad you are looking forward to reading the book. Good luck in the giveaway! I can't imagine Darcy with Lydia at all! I can't either, Megan, it sounds disastrous! Victoria has promised us a happy ever after though, so I feel confident that at some point Lydia will not be able to imagine herself marrying Darcy either! Hi Megan, I couldn't either -- which is part of the challenge I set myself as a writer. They just don't see eye-to-eye on anything. But it's very funny for the reader. Good luck with the giveaway! This was such a fun read, with so many ridiculous pairings. I loved it. Glad you enjoyed it, Lynn. I am looking forward to reading this one. Oh my, Charlotte's such a sensible person, HAH on Wickham... thanks for the excerpt, will love to read much more!!! Please don't enter me, Ceri! I was cheering her on Sophia, go Charlotte! I hope you enjoy the story when you read it. Wonderful excerpt. With so many wrongs, I am quite curious to see how you can possibly make this all right. Congratulations and thank you for the giveaway. Hi Becky. I know, what a tangle! I am interested to see if all the pairings untangle to match canon, or if there will be different pairings at the end. Thanks for the excerpt and please enter me in the drawing. This is one I must read. Will do, Sheila! Thanks for commenting and good luck in the giveaway. This blurb is wicked, Victoria!! I am so curious to know how ODC will end up together!! You are welcome, Daniela. Thanks for commenting! Only Charlotte could prick at his vanity! Well done and looking forward to the tangled web you have weaved! Thank you for the opportunity to win it! I had never thought about it before, but Charlotte is absolutely the worst wife for Wickham. She is so grounded in reality that she would see right through him, he would feel so exposed! Hi Denise. It certainly sounds tangled! I would hate to read a story where Mr Darcy actually married Lydia. I am sure they would both be miserable! My son-in-law (SIL) is into board games and has created one of his own...so he bought me that game and even played it with me. I think I remember staying single. Hi Sheila! I don't know much about the board game, I'll have to check it out. Oh what a tangled web that has been woven... I can't wait to read this one. It sounds like a convoluted tale, lots of fun! It sounds amazingly whitty and totally discombobulated. I love the fun and chaos of the premise. Can't wait to read it. 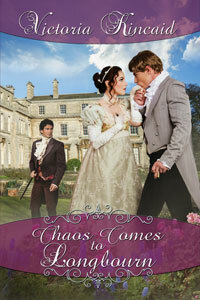 When I read the blurb I thought the book sounded well-named, Nomi, Chaos has definitely come to Longbourn! Hope you enjoy it when you read it.